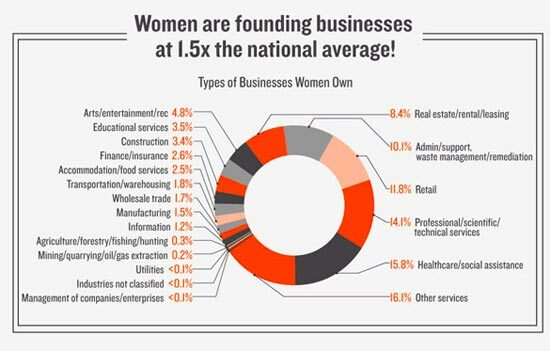 Did you know that women start businesses at 1.5x the U.S. national average? While it’s not surprising that certain types of businesses are heavily dominated by men, there are many types of businesses that are well represented by women. Women-owned businesses account for trillions of dollars in sales and employ millions of people, in the U.S. alone. This is not true in all sectors – for example, women are being nearly completely left out of the venture capital game. 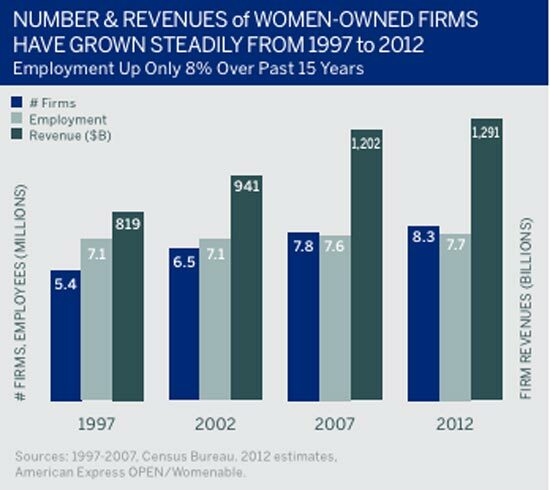 In the United States, the number of women-owned businesses (and revenue) have both steadily increased for the past 15 years. 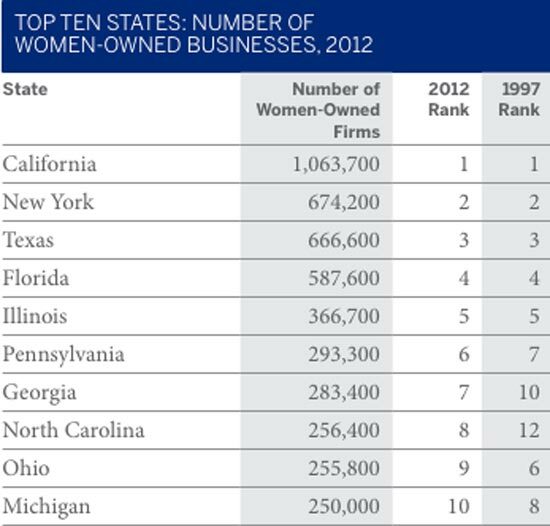 Not surprisingly, California, New York, Texas, Florida and Illinois are the top five states with women-owned businesses in 2012 (the top five hasn’t changed in 15 years). The role of women in business is increasing not only in the United States, but also around the world. For example, according to a recent report of Cherie Blair Foundation for Women and several private firms, the role of women in Middle East and African mobile markets is increasing. If you’re interested in recent numbers for the U.S., you should look at the 2012 State of Women-Owned Businesses Report (commissioned by American Express OPEN). The two charts above are from that Report. I also invite you to look at the fascinating stats about women entrepreneurs (and leaders) in an infographic published by the UNC Kenan-Flagler Business School (below).